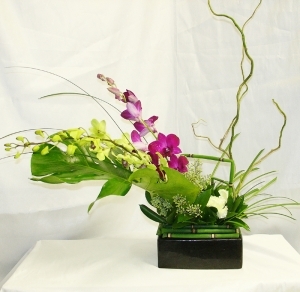 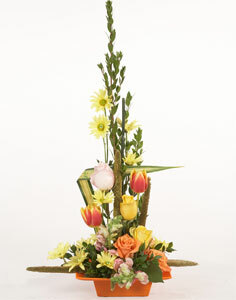 An asymmetrical showcase of orchids and a Philodendron Monstera leaf and the sharp angles of the horsetail (Equisetum) balance of odds. 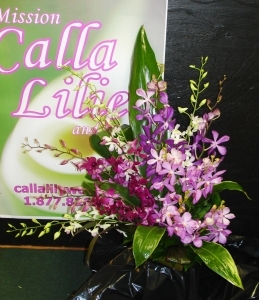 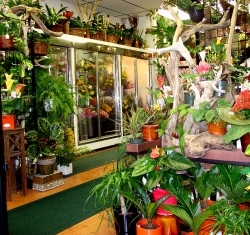 A splashy tropical orchid arrangement of pinks and purple dendrobiums and mokaras. 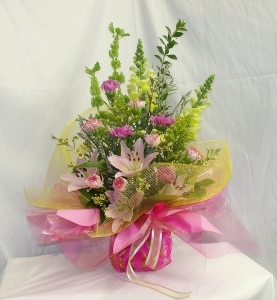 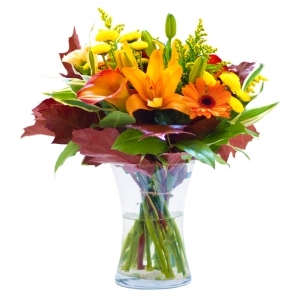 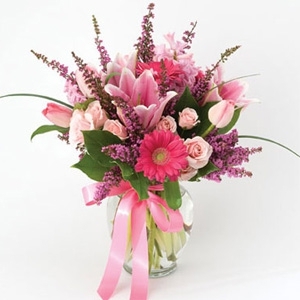 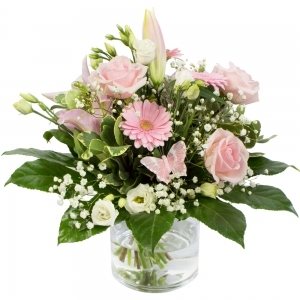 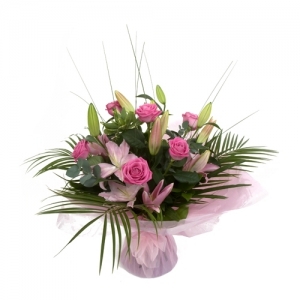 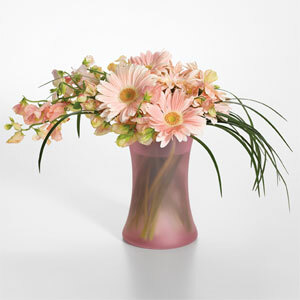 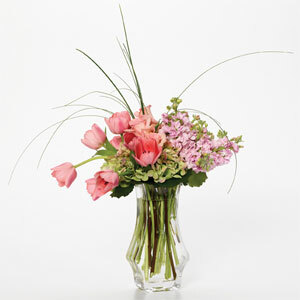 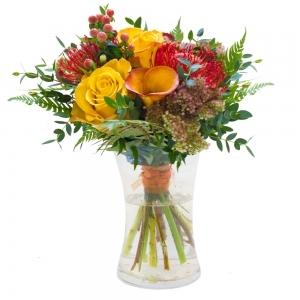 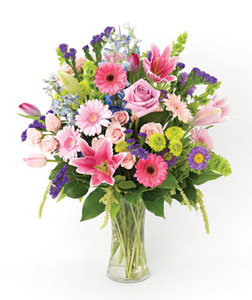 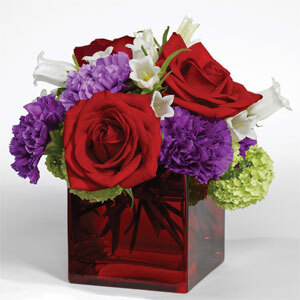 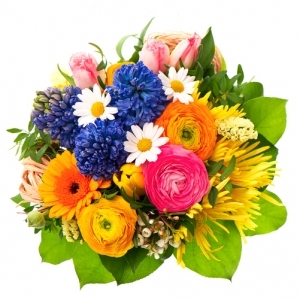 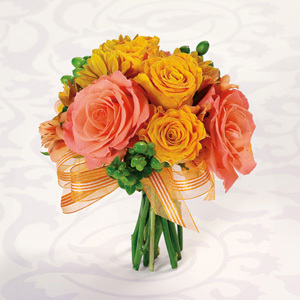 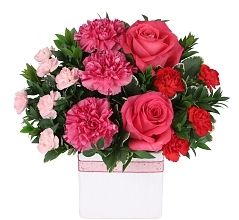 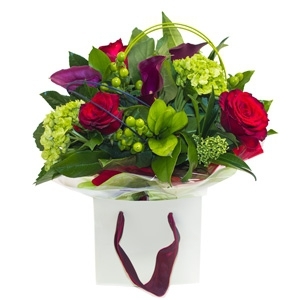 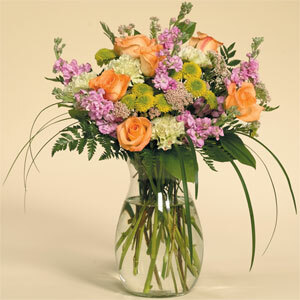 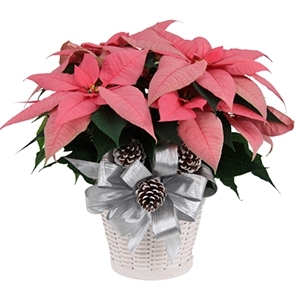 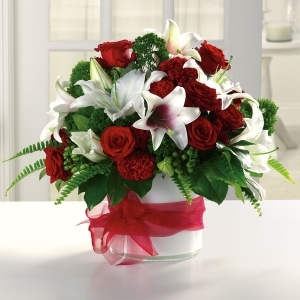 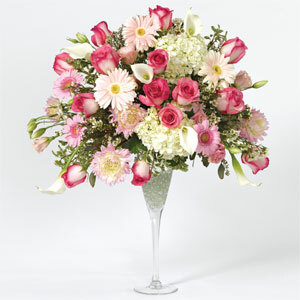 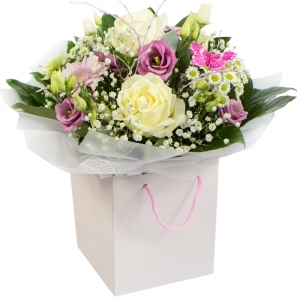 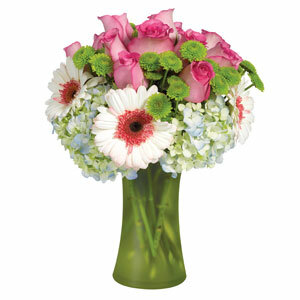 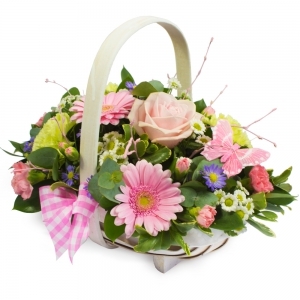 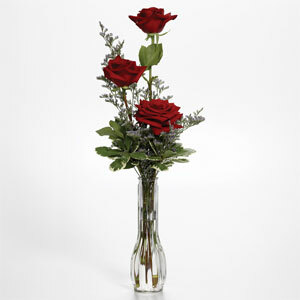 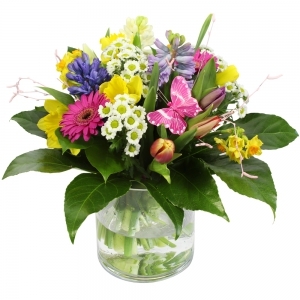 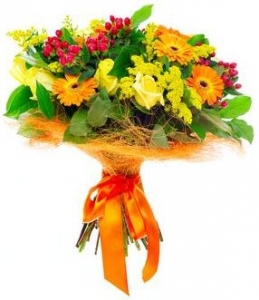 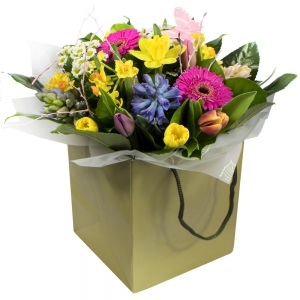 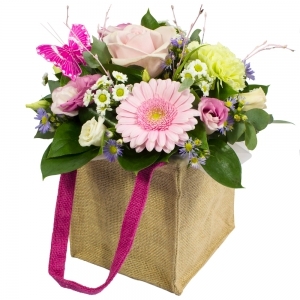 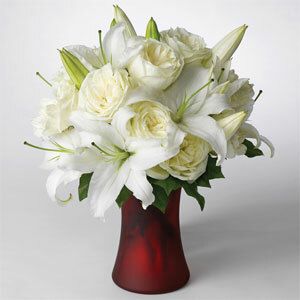 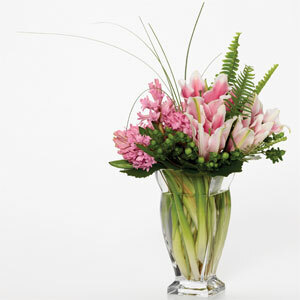 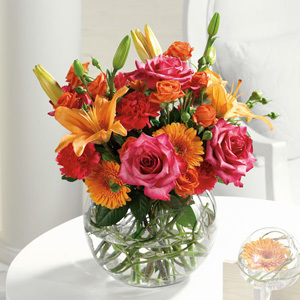 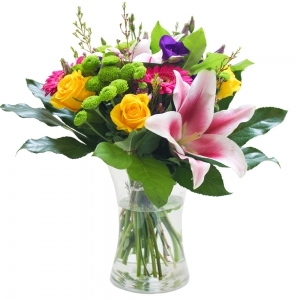 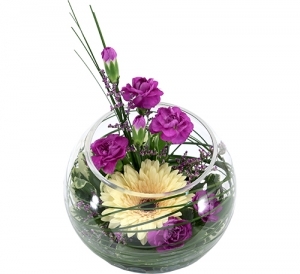 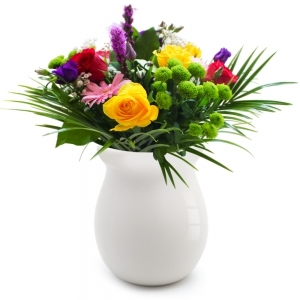 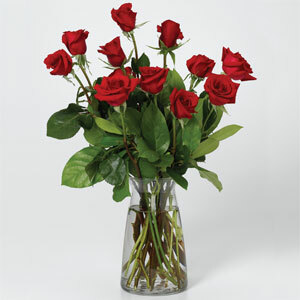 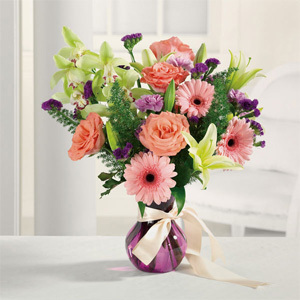 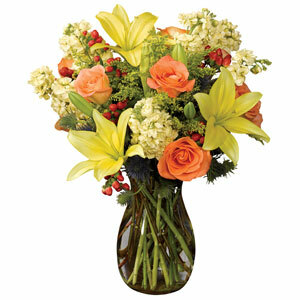 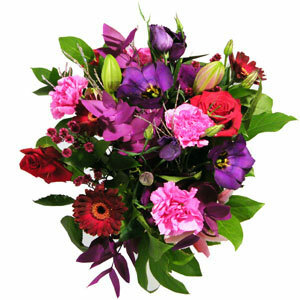 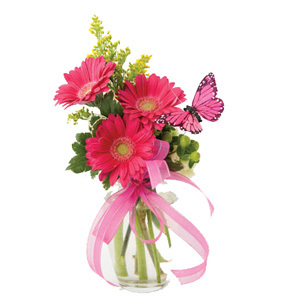 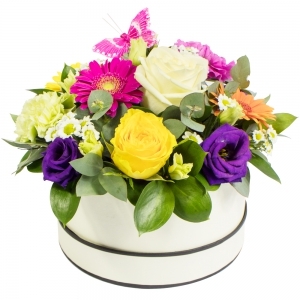 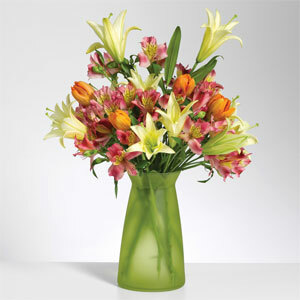 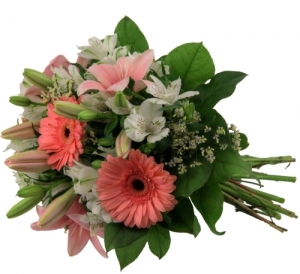 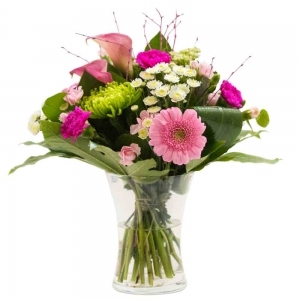 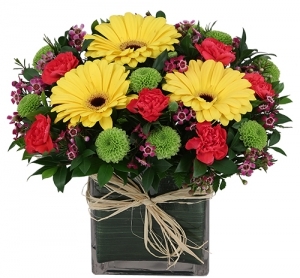 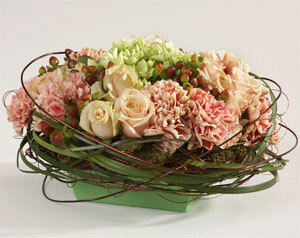 A gorgeous mix of flowers in shades of pink and yellows perfect for birthdays and anniversaries. 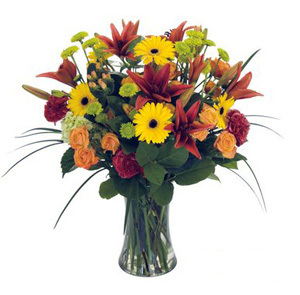 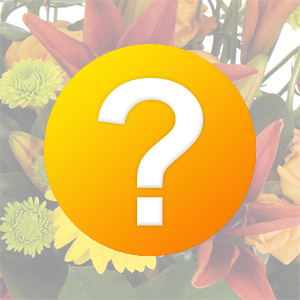 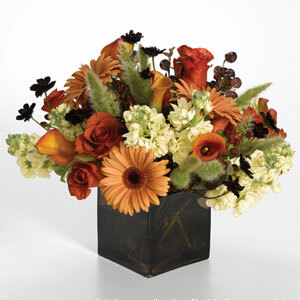 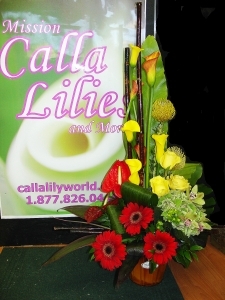 For that special occasion with yellow and orange calla lilies and red anthuriums and gerbera diasies spiced up with crossing dried bamboo stems that make a very bold statement. 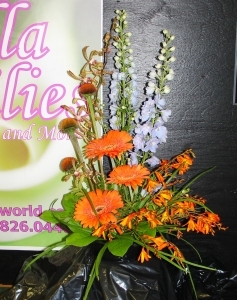 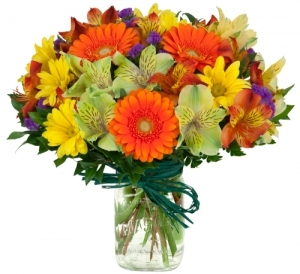 A bright orange mix and complimented by blue delphiniums inspired by tango passion.